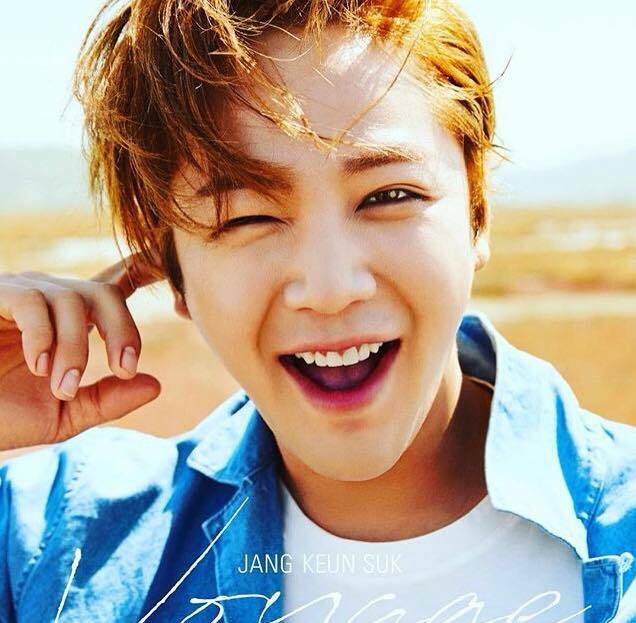 Jang Keun Suk used his IG account to announce the release date of his new album, Voyage. Well, actually what he did was post a photo of the album's cover. The new album will consist of all the songs from his last 3 albums, as well as several new songs, including one whose lyrics he wrote after Fukuoka. There are four album versions planned for release: 1) CD only; 2) CD & DVD; 3) DVD with 59 page photo book; and 4) FC version. The release date is August 9. What is different for this album is that Universal Music will be holding a lottery for people who purchase during the pre-order period. 500 people will be selected, via the lottery, to participate in JKS' music video. Shooting date is targeted for August 9. See the Universal Music Store for more information. olá, meu nome é Diana e Sou de São Paulo-SP,Brasil. sou muit fã de Jang Keun suk e estou ansiosa por esse lançamento.